I found out about Potato Lagos through a friend on twitter and I think it’s a wonderful idea, especially as a new way to target 9-5ers in Lagos. However, I was under the impression that it’ll be like potato heaven, you know – showcasing the many possibilities of food options derived from potatoes, but I don’t think that’s how Potato Lagos works. I’ve directly and indirectly had 3 experiences with Potato Lagos. The first time I called by 9am to order breakfast, and they only had Irish potatoes with shredded chicken & green peppers. I was disappointed, because, again, I imagined their menu to be an extensive showing of potato capabilities, only to be offered the sole option of boiled potatoes with shredded chicken or gizzard. Refusing to be discouraged, I ordered two plates and was promised a delivery time of within 2 hours. 3 hours later, and my meal hadn’t arrived. I called again and was informed that the delivery guy was trying to locate my office. Who takes one hour to locate Lagos Law School? And what stopped the guy from calling me? 20 minutes later, he was still locating o! I finally saw him strolling towards my building. Angry and hungry, I paid for my meal without a word and walked back inside. 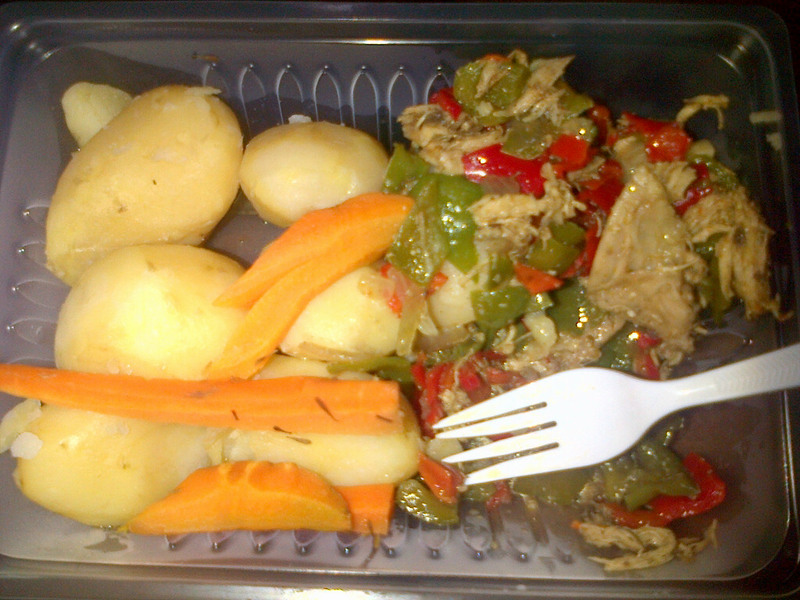 I opened my meal and the smell of green peppers immediately overpowered my nostrils. The green peppers were way too much! Also, I didn’t see a reasonable amount of onions and the food wasn’t spicy at all. My colleague, A, tweeted all the insults she knew at them, but we got one of my other colleagues, B, to try the food and she liked it. My second Potato Lagos experience occurred when colleague B decided to order the same meal for lunch. Having witnessed my experience first-hand, she placed an order by 9am too, but didn’t get her “lunch” until 3pm! I couldn’t help but laugh hard. They even gave her 2 extra food packs with pineapple juice, and forgot to collect the payment. She must have really enjoyed the food, as she ordered the same meal the following day. This time, her food came on time with free pineapple juice. Per my direct experience, I honestly wouldn’t recommend this place especially if you are hungry and want on-time delivery. However, the pricing is quite good. A plate cost 500 Naira and delivery is free in VI, Ikoyi, Lekki, Lagos Island and Ikeja. Thanks for the honest review. 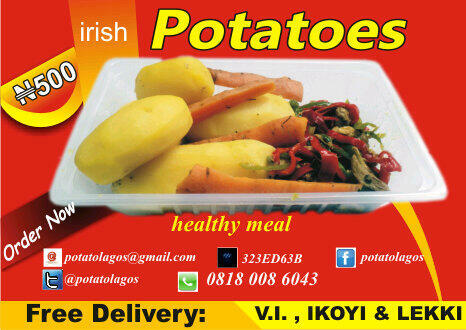 PotatoLagos is a new venture and we admit to have initial logistic issues we are working on,we will overcome pretty soon. We appreciate all feedback and will continue to put our customers first. Thank you. The food looks good tho. I'm going to order very soon and post my experience here .